Gregory Fake, assistant producer for the award-winning Lifetime television program, Balancing Act, shares his personal side through talking with Community Blog Online about prison ministries. Community Blog Online: Thank you for joining us. Please tell our readers how you got involved with prison ministries. Gregory Fake: I am a deacon at my church and prison ministry is a big part of our church mission. Community Blog Online: Prison ministry must be difficult; can you describe a bit about your first impressions of the prison environment and the inmates? Gregory Fake: Prison is a very different world. For anyone who has never been on the inside, it can be startling. The inmates were intimidating at first, but this changed as I became better at my counseling and better at understanding their needs. Community Blog Online: What services do you and your partners provide to inmates? Gregory Fake: Mainly, we do a lot of listening and reminding inmates that they are loved and there is hope. Gregory Fake: The people I meet in jail and prison have suffered tremendous hardships in their lives; I am there to help them deal with their demons, while creating a path to a brighter day through spiritual work. Community Blog Online: What do you do for the families of inmates? Gregory Fake: I am in the prison regularly and am available to families who might need advice and reassurance. Community Blog Online: Is it difficult for prisoners to see the brighter side of life? Gregory Fake: Of course. Some of these men are wracked with guilt for the pain they have caused in others and don’t believe they are worthy of forgiveness. I remind them that forgiveness is for everyone. Community Blog Online: What have you learned about yourself since becoming involved with prison ministry? Gregory Fake: The men I have met in jails and prisons are so honest and open about their challenges. They have taught me to face challenges in my own life with more honesty. Community Blog Online: How does this ministry help inmates deal with their criminal past? Gregory Fake: Forgiveness is a huge first step for inmates. Once they accept that they are forgiven, they begin to move forward. Community Blog Online: Do inmates always continue on that path forward? Gregory Fake: Unfortunately, no. I wish it were that easy. It is painful to watch someone who has come so far, someone I have come to know and care about, fall back into addiction or criminal behavior. But we are all human and setbacks are part of the plan, so I cannot let that deter me from my passion to serve the other inmates. Gregory Fake lives with his wife and children in Florida. Prior to becoming a television producer, Gregory Fake worked as a business consultant for Fortune 500 companies and as a banking attorney. Incredible Discoveries on Lifetime Television: Germs are everywhere in your home. Every day dirt, dust, dust-mite debris, mold spores, smoke, pet dander, pollen, and other allergens fill the air all around us. But now you can do something to help keep a cleaner and happier home. Incredible Discoveries introduces The Hamilton Beach True Air Ultra UV Air Purifier, which purifies the air around you. With a digital display, a 2-stage air filtration and Hamilton Beach True Air Ultra UV Air Purifier germicidal light, this 3 way air treatment system is effective at removing a wide range of impurities from the air including pet dander, pollen, dust mite debris, mold spores, smoke, and more! Incredible Discoveries will show you how it even takes cooking odors out of the air. Like bacon cooking in the morning, it removes the smell within a few minutes. Incredible Discoveries agrees that you won’t have that smell throughout the house the rest of the day. Incredible Discoveries learns about the Airsmart system and special Hamilton Beach True Air Ultra UV Air Purifier germicidal light from Lori Leeland. Leeland, from Hamilton Beach Laboratory, provides Incredible Discoveries with a scenario of the product’s benefits. Incredible Discoveries: You hear so much about outdoor air pollution that I don’t think anyone realizes that indoor air pollution can also be a huge problem. Leeland: Yes, it is a serious problem. With the Hamilton Beach True Air Ultra UV Air Purifier I can show you how dirty indoor air really is. By putting the Hamilton Beach True Air Ultra UV Air Purifier in different rooms in a newly built home for thirty days, you will be amazed of what we’re going to find. A home was built two years ago and as soon as the Hamilton Beach True Air was plugged in and set to “auto”, it registered “poor air quality”. It would be hard to imagine the air in an older house, compared to this one, built two years prior. The owner placed the Air Purifier in the baby’s room and placed the settings on “auto”. The air quality read “poor”. Right away, the fan sped up and cleaned the entire room within 15 minutes. The air quality status then registered “good”. When it was first turned on, the status bar was maxed out. It was impossible to know that air was that bad. After turning it on and letting it run for a couple hours, the status moved all the way to “clear”. Incredible Discoveries agrees that the filter actually cleans the air in the room and makes it seem brighter and cleaner. Incredible Discoveries: I am amazed at all the positive effects that this little system exhibits. The Hamilton Beach True Air Ultra UV Air Purifier is truly the solution to air purification in your home! Air is something we sometimes take for granted. It’s very easy for Incredible Discoveries viewers not to be proactive and take the steps needed to clean something that they don’t really see. Incredible Discoveries observes that more and more people are worried about the quality of the air that why and their family breathe with impurities in the air these days, like pollen, dust, pet dander, and smoke. Leeland: With the true air ultra UV air purifier, it’s so easy. Just plug it in and watch it actually purify your air within a 200 square foot area! It’s perfect for your home, condo, apartment, family room, bedroom, home office, or basement. The space saving design fits into any home décor and allows for placement against a wall for discrete operation. 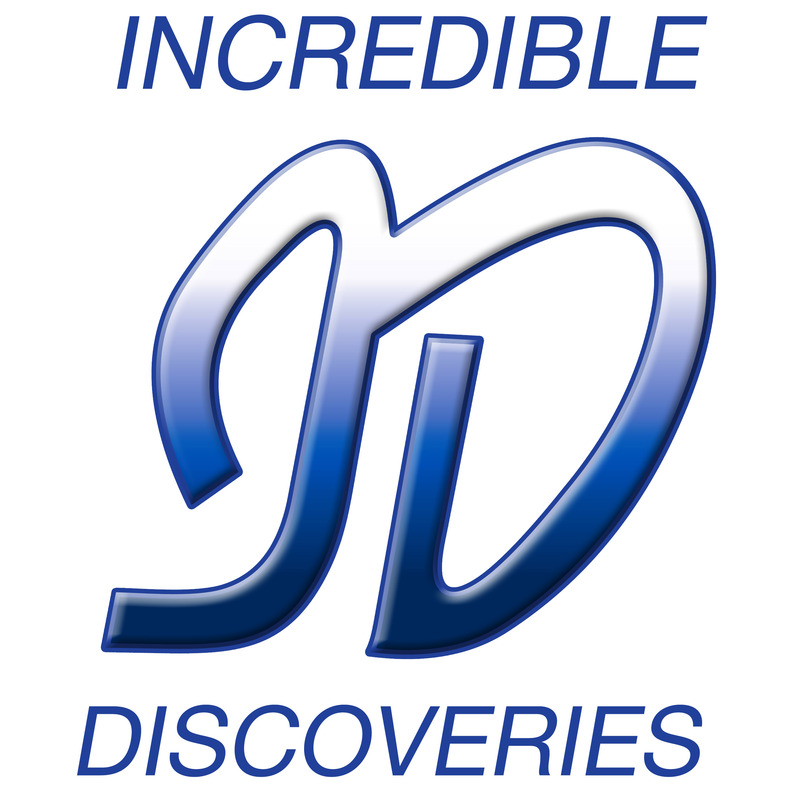 Incredible Discoveries is a marketing firm focusing on direct response infomercial production and online presence development. Incredible Discoveries is a division of O2 Media, Inc., and produces The Balancing Act, one of O2’s most successful shows, airing daily on Lifetime. In addition to Incredible Discoveries’ 43,000 sq.ft. production facility, the firm offers full post production capabilities to tweak and refine their high quality television marketing campaigns. Incredible Discoveries offers a unique and fresh approach to the industry and through its 20 years of experience has created partnerships with some of the world’s leading manufacturers. The following segment originally aired on the national TV show, The Balancing Act on Lifetime Television. The featured guest was furniture designer, Shawn Nelson to explain his revolutionary furniture line called ‘LoveSac’. The Balancing Act on Lifetime Television host Danielle Knox: I am sitting on this comfortable sofa with Shawn Nelson, a man whose unique vision is revolutionizing the face of furniture today. The LoveSac is a great piece of furniture. Did you just wake up one day and say ‘I want to make an oversized beanbag chair? What is the story behind it? Shawn: The whole company started because I was 18 years old and thought it would be funny to make the world’s biggest beanbag. The Balancing Act on Lifetime Television: You were 18 years old? Shawn: I went out and bought the fabric, took it home, cut it up and sewed it up. I started filling it with everything soft that I could find. And when I finally got it done and took it out and used it, everyone seemed to want one. The Balancing Act on Lifetime Television: It’s interesting because did you ever fancy yourself a furniture designer? Shawn: No. I actually left the country for two years to go be a missionary, came back to finish university and started using the ‘Sac’ again. Once again, everybody wanted to buy one. So I started this little company and we started selling them out of a van and making them in the basement for three or four years. Also at home shows, boat shows, car shows. Finally I got an order for 12,000 units at this big trade show. The Balancing Act Lifetime Television: With no big company behind you? Shawn: Yes, with just me and my buddies. So we built a factory on credit cards and in order to keep that factory alive when we finished that order, we opened our first retail store at a mail in Salt Lake City in 2001. Since then it’s been a few years and we have 25 locations around the country in shopping malls from L.A to New York City. The Balancing Act on Lifetime Television: So, you’re in a store and you have the LoveSac, sitting next to a sofa. Just so people can get an idea of how it flows and fits into a room. Then what happens? The Balancing Act on Lifetime Television: Can you explain to The Balancing Act Viewers how this furniture works and what the options are? Shawn: I am going to show you how it works. I am going to take that chair, change its covers, make a completely different color chair and then we’re going to build some other things out of it as well. The Balancing Act on Lifetime Television: well that sounds like a tall order. Let’s check it out. The Balancing Act on Lifetime Television: Boy that’s awesome! Now, because you have talked about machine washable a lot of times, I’d like to see how we take these off and wash them. Shawn: And you can also just change the covers if you get tired of a certain color. The Balancing Act on Lifetime Television: Let’s do it. Shawn: Just move these cushions out of the way, go ahead and grab that black strap, yank it and now we can take these pieces and build whatever we want out of them. We can add another piece on, but first we can change the covers. The Balancing Act on Lifetime Television: Okay, and let’s build something bigger. Shawn: Okay, with just a few bases and sides, you can literally build anything you want with no tools required, no talent, and you can change the covers as often as you like. There are lots of different fabrics, colors, whatever you like. The Balancing Act on Lifetime Television: So where can The Balancing Act viewers find out more information? Shawn: You can just go to lovesac.com or there might be a store near you. Otherwise you can order anything you want off the website. The Balancing Act Lifetime Television is the only morning show in America produced by women specifically for women. Every morning, The Balancing Act on Lifetime hosts Danielle Knox and Kristy Villa tackle the issues that face today’s woman. Popular show segments include Live weather updates with Mark Mancuso, surprise celebrity visitors, and news about the latest trends affecting your life, home, career and family. The Balancing Act on Lifetime Television airs daily on Lifetime at 7 a.m. ET/PT. For more information, visit The Balancing Act on Lifetime Television’s website at http://www.thebalancingact.com.